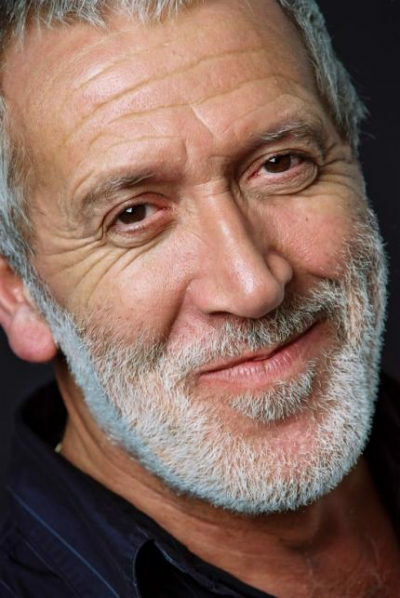 Singer songwriter Gordon Haskell is on his way back to Blighty for his first UK gig in almost seven years. It’s 12 years since he claimed a famous victory for the underdog, notched up a hit single from nowhere with How Wonderful You Are and declared his earnings “back pay”. Only kept from the top spot at Christmas 2001 by Robbie Williams and Nicole Kidman, it was Radio 2’s most requested record of all time and has been a mainstay of chill out compilation albums ever since. But the slimy deals with the smarmy eels of the music business proved to be too much for Gordon and in 2008 he left his Dorset home for the Greek island idyll of Skopelos, best known as the location for the film version of Mammia Mia. Many thought he had retired, but he still found time to tour Poland annually and he continued writing songs. In 2010 he made a new album, One Day Soon, in which he shared his an eloquent blend of hurt and hopeful views of the world from his hillside home and reclaimed his Greek heritage, acknowledging his professor father’s surname Hionides. A child of the 1960s, Gordon cut his teeth in the Bournemouth beat boom before heading off to seek fame and fortune in the innermost circles of Swinging London, sharing a flat with Jimi Hendrix and playing with Fleur de Lys, effectively the in-crowd’s house band. At the start of the 1970s he made two albums with his one time Bournemouth band mate Robert Fripp, playing bass and singing in prog rock supergroup King Crimson, but the high life of an international rock star wasn’t for him. He left and made a solo record for Atlantic, before backing the likes of Cliff Richard and Tim Hardin. Gordon spent most of the 1980s singing in whatever clubs and bars would book him at home and abroad before scoring a number one single in South Africa in 1990 with Almost Certainly, from the album Hambledon Hill. He continued to write and record and was finally rewarded with a massive hit in the shape of How Wonderful You Are, a song Gordon consistently dedicated to the good people of Dorset (and elsewhere) that supported him when times were not so good. On 11 December 2013 Gordon will no doubt do the same when he plays a show at the De La Salle Theatre at St Peter’s School, Southbourne that reunites him with his one-time musical partner, former Paul McCartney and Pretenders guitarist Robbie McIntosh for the first time in a decade. How do you feel about your first performance in the UK since leaving for Skopelos? Having just finished a highly successful (sell-out) Polish tour of 10 cities, I feel confident about the enjoyment of it all again. The material from One Day Soon seems to be more relevant than ever, how do you think it will be received? The funny thing about me is that by the time world events catch up with my predictions or songs, I have generally moved on to the next phase. I am now focused on the cure and I shall just give out as much love and fun as I can possibly muster as that is the opposite of what the social engineers would wish for or expect. They would have us all curl up and conform to their pathetic little con game. If any officialdom tries to interfere while I am in the UK I will be blowing smoke in their corrupt little faces, literally, while laughing and having fun. There is anger as well as love on that album, does living in a beautiful place make it easier to cope with mankind’s lousier moments? Not really. We do get more accurate news, barely a tenth of the propaganda that is prevalent in the UK. We avoid the BBC baloney like the plague, but knowing the truth is a burden wherever one is. Being an artist is a blessing and a curse in that way. However, the beauty is omnipresent here and serves as a reminder of how lucky I am. The anger comes from the threat from such psychopaths who cannot see the beauty and worship money and power, which of course is pathetic. And simply unintelligent. Therein lies the hope. If they are that stupid then we can beat them – if we use our intelligence. We now know their names, which people didn’t pre-internet. They can no longer hide. Have you missed the good folk of Dorset and the fine playing of Robbie? I have missed the good folk. I have not missed the other kind. I am thrilled to be back with Robbie. We have both had interesting times since 2003, he on the world stage with Norah Jones and John Mayer and me studying the world’s history from the wings and finding a wonderful way to live one’s life that is creative, healthy and fruitful with some touring thrown in. What makes this the right time to return? The Right Time, funnily enough, is the name of my opening song. Sue and I are guided by what we deem to be the angels. We left the UK four months before the Lehman Brothers crash and did well on the exchange rate. We’re returning for family reasons, yet musically I feel on top form so I shall be happy to gig whenever anyone wants me to. Also, now that I am fully aware of the racket they laughingly call the Establishment, I feel much more capable of handling my own affairs, rather than allow some illiterate ignoramus to manage my business – and steer me wrong. How’s life in Skopelos? How’s the veg plot? Totally satisfying and 100 per cent fruitful. The EU is trying to spoil life but the Greeks are far too canny to be beaten by the EU’s banking Ponzi schemes and devious tricks. They have seen fascism twice in the last 70 years and don’t easily forget. They have dealt with that faction swiftly. Any plans for more shows, a new record? There will be the annual tour of Poland still as it was so successful and I intend doing the same in the UK as long as I don’t get arrested. Skopelos will be ‘the farm’ for at least six months of each year. We are going to see food and water as the most coveted commodity and Skopelos is a good place for that. And the honey is fantastic… it is literally the land of milk and honey. Money is just paper after all. We will learn that ‘one day soon’, as the last album predicted. Another record? We will all have to start again. The ‘planners’ aim was to destroy our culture. It will never be so, though they nearly managed it. The young have been betrayed and the new music business will take the world by the scruff of its grubby little neck and music will restore our battered souls. I hope I will be around doing my bit, so hold that thought. Possibly, probably, hopefully. Music is love. Music is a reminder of our humanity. Accountants, lawyers and corporate clowns will no longer be involved.